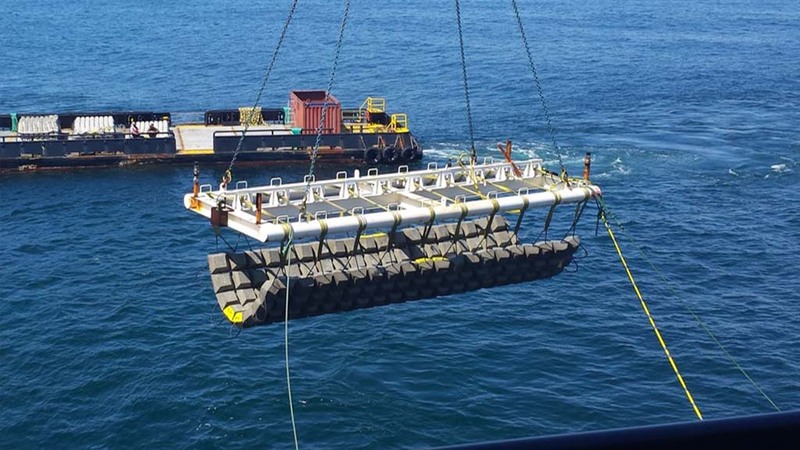 HYPACK screen showing cable-lay jet sled approaching six cable protection mats pre-positioned over an existing cable. 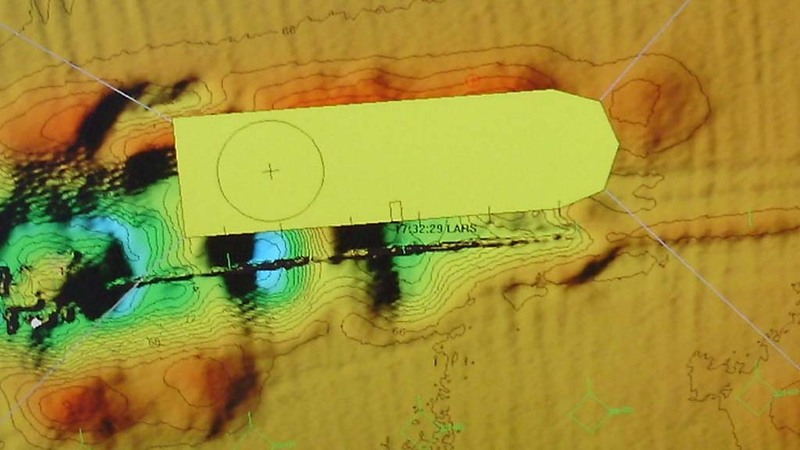 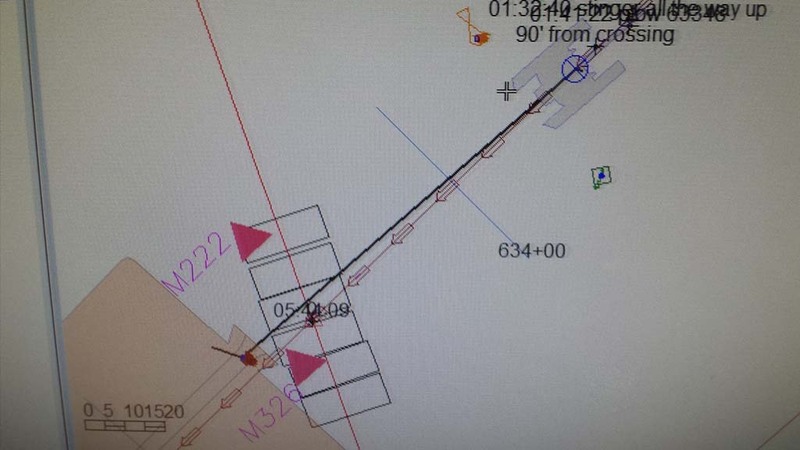 Pipeline remediation barge and diver position overlain on multibeam surface and countours. 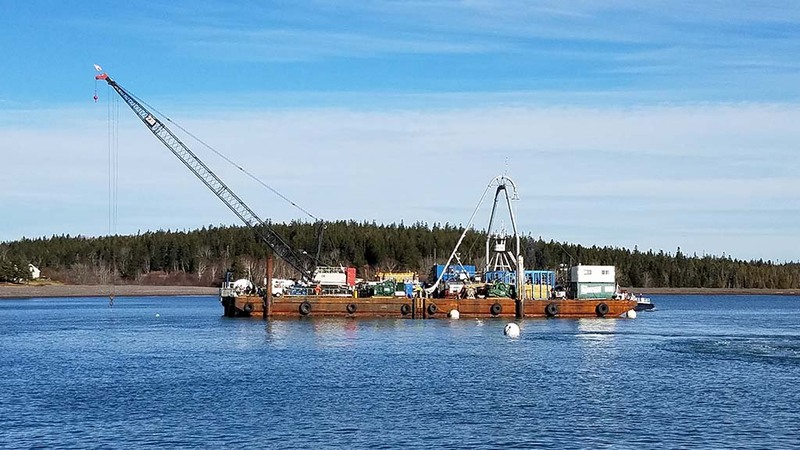 Navigating a cable-lay barge in Maine. 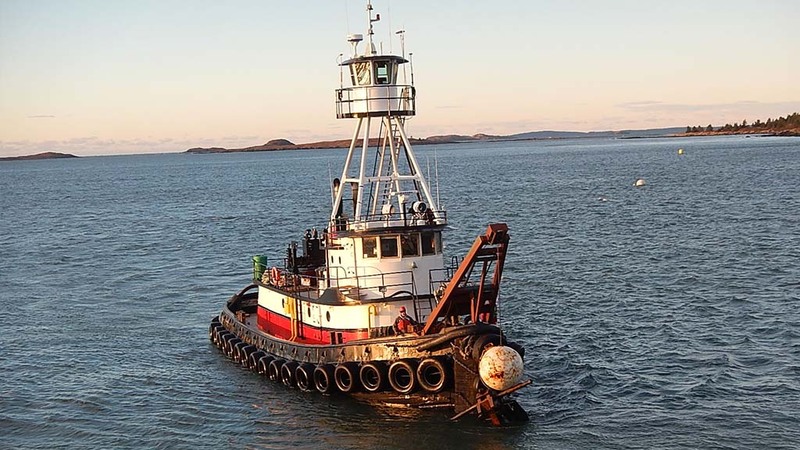 Anchor handling tug outfitted with positioning and heading sensors, telemetry, and HYPACK. 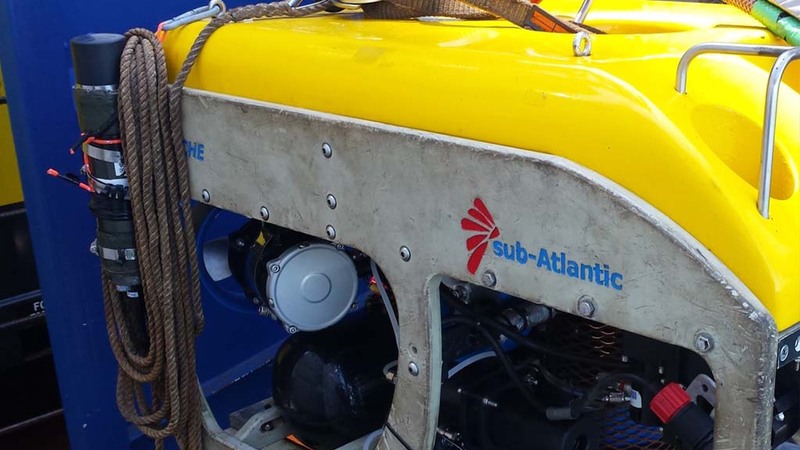 Client ROV outfitted with OS's USBL beacon. 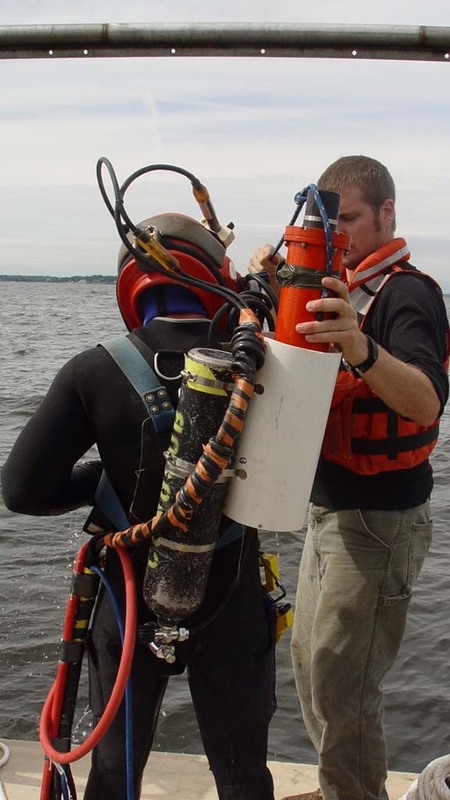 Diver positioning during construction or inspection activities.